Homes For Sale – Springtown, TX. 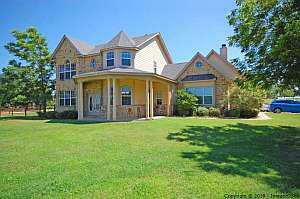 Custom country living on acreage with easy access to the city. Gourmet kitchen with concrete countertops overlooks family room with fireplace. Downstairs master suite with jetted tub, separate shower, and large walk-in closet. Extensive updating including hardwood floors, bathroom tile, and designer paints. 5th bedroom could be second master or another living area. Mud room connects garage and main house. Back yard is perfect for entertaining. Click here for current status, pricing, details and photos.